We take great pride at S & S Landcaping in our work. Please read what some of our customers have come to experience. We work hard to make sure each job receives the same high level of service as the next. Our knowledge and attention to detail allow us to fulfill any of your landcaping needs. A few years ago, I hired S&S Landscaping to remove several trees from my property. They did a great job removing all the trees carefully without inflicting any collateral damage to my property. They removed the stumps I wanted removed, as well as had 1 ground away. By the time they were done, my yard was immaculate. Everything was completed for the reasonable price we agreed to and in a timely manner. Scott was great to work with. Later, I hired Scott and Steve (McMaster Development) to have a new garage built and to have my entire yard re-done; then I added a new driveway. I wasn’t sure of the exact design for my garage; they worked with me on plans and generated everything we needed for town approval, including foundation plans and construction plans. My garage was done exactly as I wanted, and is extremely well constructed. Both the construction as well as the site work was extremely well coordinated. They removed and re-located the old site material and brought in new material as required for my slab and for back-filling. They excavated my entire yard, brought in fill and topsoil, graded and hydro-seeded my new lawn. Throughout the construction process, they were extremely careful not to damage anything, and put down heavy planks and 1 inch thick plywood to drive over. I could not be more pleased with the results. The biggest thing for me were the little things; extra care in raking out the twigs and rocks, coming back to hydro-seed spots that didn’t take as well, sweeping up, even using some of the extra concrete to fix my cellar entry slab….all the things that you would do if you did it yourself, all part of “doing it right”. 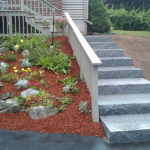 S&S Landscaping is outstanding and professional. We have used S&S multiple times. First we had a retaining wall to accent around our above ground pool around and under deck. Then same thing to frame around both our sheds. 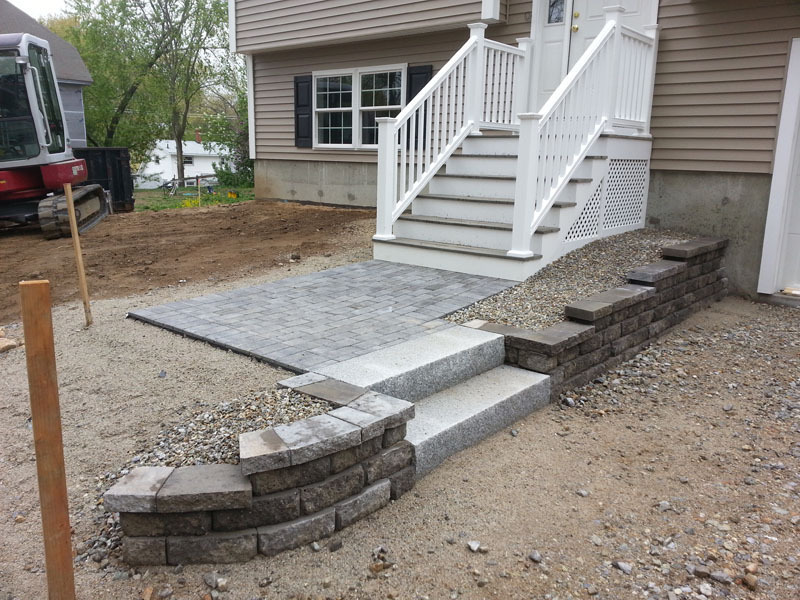 The most impressive was the cobblestone walkway with granite steps and retaining wall. Finished with mulch on top. We have received so many compliments and we are so proud of how amazing it looks. Their professional, courteous and superb work is what makes us call S&S Landscaping every time we need our yard beautified. 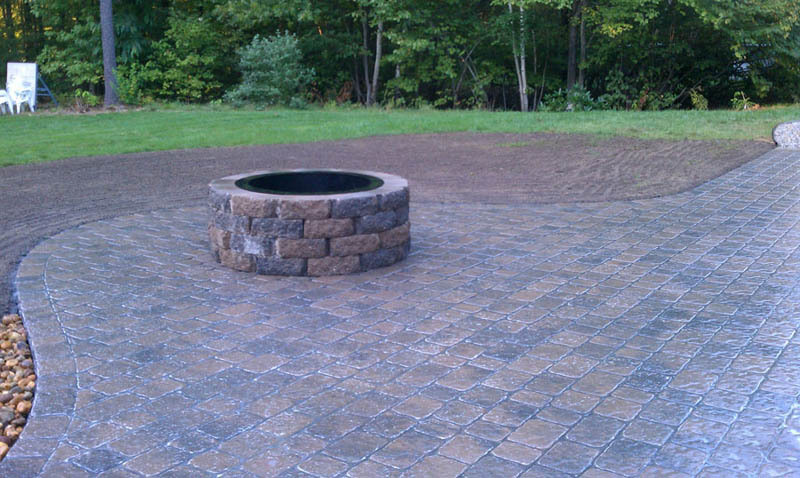 If you want meticulous results on your landscaping projects and at a value price, S&S landscaping is your best option. This team of experts truly strives for their customers satisfaction. Their work is always impeccable. S&S has installed 2 brick walkways, irrigation system, planted shrubs and bushes, did my homes excavation work and plows for me in the winter. 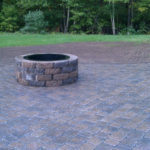 A true one stop shop for your landscaping and construction needs. S & S has consistently exceeded my expectations. Their conscientious attention to detail is like no other landscaping company I have ever used. I would not hesitate to recommend S & S to anyone..
We have been working with Scott and the S&S Landscaping team for many years now, to do our spring and fall clean up at our home. When it was time to build our second home, S&S did excavation, site work, built our retaining walls and worked with our general contractor. 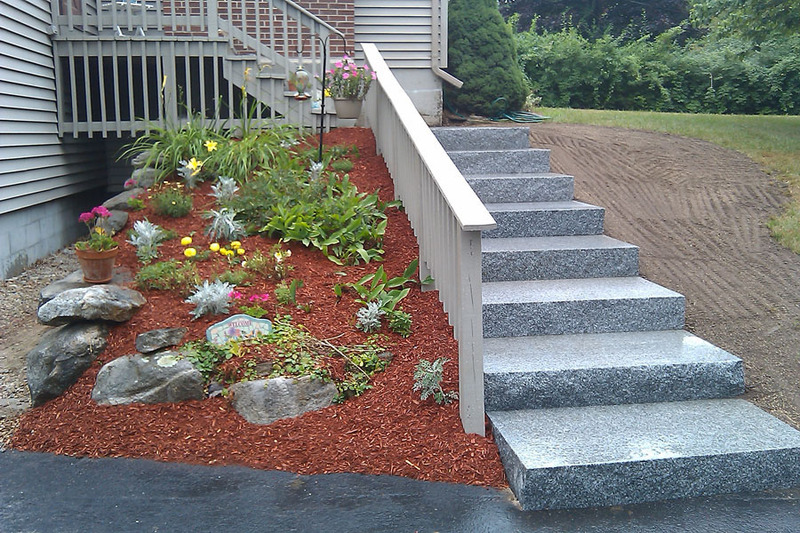 S&S Landscaping completed our landscape design and did a beautiful and professional job from start to finish. I would recommend S&S Landscaping for any landscape project small or large. My husband and I have lived in Derry for 35 years. 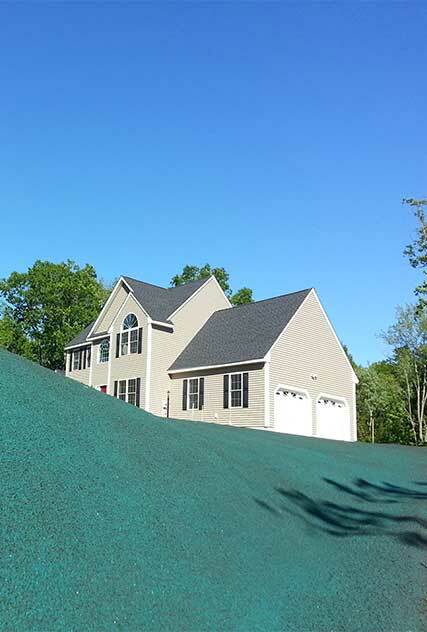 During those years, we have had S&S Landscaping perform work on the landscaping around our house. Scott and his crew have put sod on our lawn, cut down trees, built a beautiful walkway in front of our house, did mulching and trimming of bushes and this year he put in a sprinkler system and re-seeded our front and side lawns. This was the first summer we had green grass and not dried up dirt. Scott and his crew are honest, hard working, knowledgeable, courteous men. They are dependable, they show up early and work late and meticulous in their work. He is always willing to work with you on projects and always gives you a fair price. Whenever we have a job we need done, we always call S&S Landscaping first. We have a 800 foot driveway and he does a great job of plowing during the winter as well. I never hesitate to recommend him for any outdoor project. I am writing this reference for S & S Landscaping. About 2 years ago, I hired them to replace my front steps on the outside of my home. They met with me with some suggestions and ideas. 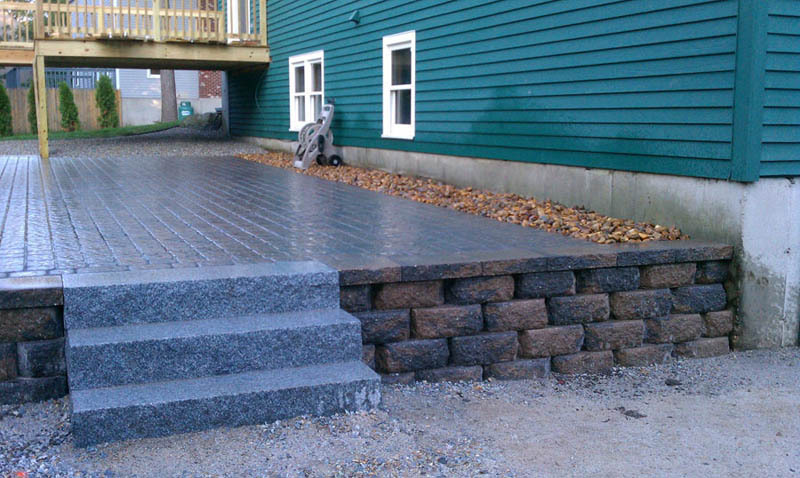 I went with solid granite steps. They did a nice job and were very respectful of my property while working there. Even though we ran into a few snags with my home, they were able to do the work and remain on budget. They were on time with the project as promised and did a nice neat job. I found them dependable, trustworthy, and fair. We have been customers of S&S Landscaping for 17 years. Over that time they removed trees, improved drainage around our home and built a beautiful raised flower bed surrounded by garden stones, and have faithfully plowed our 100 yard long driveway every winter. Their work is excellent, they are reliable and get work done on time at their quoted and very fair price. I have used S & S Landscaping several times. S&S is honest–hard working– competent–reliable–reasonable rates–versatile skills— with excellent quality. As a business owner and a home owner, I look for professionalism, workmanship, reliability and exceptional service. I have found all of these qualities working with S & S Landscaping. Scott McMaster has helped me achieve each objective for every project completely and in a timely manner. S & S has always been extremely creative with their designs and recommendations. They never fail to exceed my expectations! I have known these guys for over 20 years. They have done many different jobs for me. I will tell you they will return your call, show up on time, pay attention to small details, and do the job correctly and quickly. Their pricing is very fair and the quality of their work is high. I was fortunate enough to have met Scott and Steve working at my neighbors several years ago. After spending time watching them install patio’s, walls, and walkways I quickly realized I would be using them for some up-coming projects at my home. My neighbor could not have been any happier with their work. They actually showed up and completed the work within the time they had projected, leaving the yard clean and safe at the end of everyday. Their estimates were clear in the detail of work to be carried out and their pricing was very competitive. equally important they offered great ideas and designs that may work better and save money. I strongly recommend S&S Landscaping for all your contracting needs. We have worked with S & S Landscaping for nearly 10 years now. 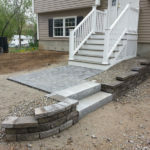 The McMaster brothers and their crew have done fantastic work at both our locations, constructing our granite front entrance and steps, a concrete handicap ramp and decorative brick paver walkways. Having an impressive attention to detail, they complete each job efficiently and to the highest standards. 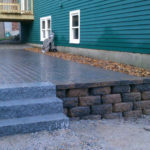 I would highly recommend them to anyone seeking quality stone and landscaping work. I have used S&S Landscaping for about 15 years! They do the BEST Work Period! They have built a brick walkway, a patio, fire pit, and four stone walls in our recent home! The quality of their work is Superior! My wife is one of the top realtors in the State of NH and she visits about 50 homes a week! She always tells me that are landscaping is by far the best!. I would highly recommend you use S&S Landscaping! Great work and reasonably priced! I have three things to say…first Scott has the ability to understand your ideas…the concept. He can tell you immediately if your ideas are reality and tell if financially it’s in the budget. Second, you become priority when he gets the job. He promises a start date and his crew is there that day on time. Third, the job is done in a timely manner and the end result surpasses your expectations! S&S Landscaping and the McMasters have been landscaping Espana Quality homes since 1995. 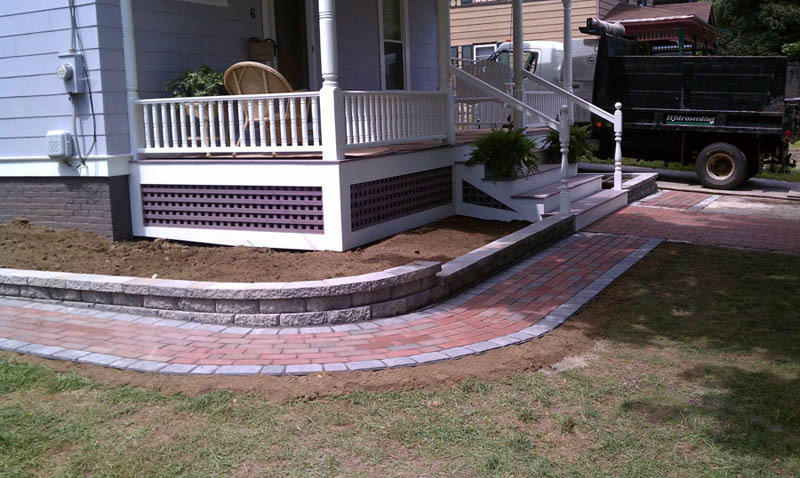 They do everything from our retaining walls, shrubbery, lawns and irrigation systems. They adhere to the same principles of quality as we do, that and their affördablepricing has made them the go to landscapers for all of our homes. I would highly recommend S & S Landscaping Services. Their dependability, attention to detail, and follow up customer service is superb. 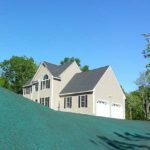 I have used their services since 2009 for clearing land, installation of a septic system, new lawn, pavers on walkways, retaining walls, granite stairs, driveway design, fencing, planting and mulching as well as setting up a sprinkler system and it has been done over the years with very little disruption to my household. They have also been called upon for spring and fall clean up and the removal of snow and ice from my roof and driveway. Their sister company, McMaster Development has been equally consistent and diligent and I would give both companies my highest assessment! 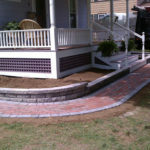 Please don’t hesitate to contact S & S Landscaping to learn more about our services. Call 603-434-1212 or complete our online form.